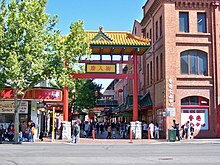 Adelaide city centre is the innermost locality of Greater Adelaide, the capital city of South Australia. 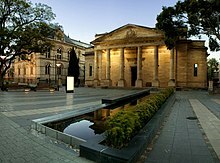 It is known by locals simply as The City or Town to distinguish it from Greater Adelaide, the locality is home to the Parliament of South Australia and many key state government offices. Due to the construction of new apartments in the city. 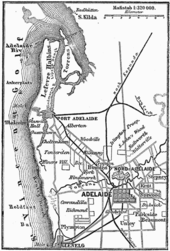 Before the European settlement of South Australia, the Adelaide Plains, the colony of South Australia was established in 1836 at Glenelg, and the city itself established in 1837. 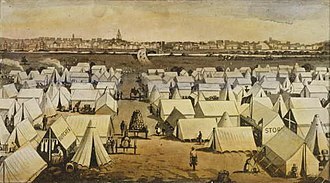 The location and layout of the city is accredited to Colonel William Light, Kaurna numbers were significantly reduced by at least two widespread epidemics of smallpox which preceded European settlement, having been transported downstream along the Murray River. 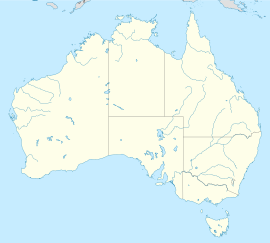 When European settlers arrived in 1836, estimates of the Kaurna population ranged from 300 to 1000 people, british Captain Matthew Flinders, along with French Captain Nicolas Baudin, charted the southeast coast of Australia, where Adelaide is located. 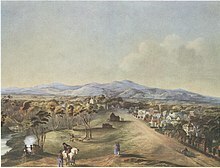 Flinders named Mount Lofty in 1802, but provided little information on Adelaide itself, charles Sturt explored the Murray and wrote a favourable reflection on what he saw. Colonel William Light is credited largely with settling and laying out the Adelaide region, Adelaide was not as badly effected by the 1860s economic depression of Australia as other gold rush cities like Sydney and Melbourne, allowing it to prosper. 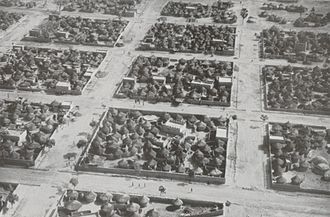 Historian F. W. Crowley noted that the city was full of elite upper class citizens which provided a stark contrast of the poverty of the labour areas. Due to its historic puritan wealth during the 20th century, the city retains a portion of Victorian architecture. 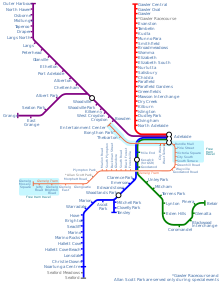 Adelaide is separated from its metropolitan area by a ring of public parklands on all sides. Surrounding this central business district are a number of medium to low density apartments, townhouses. 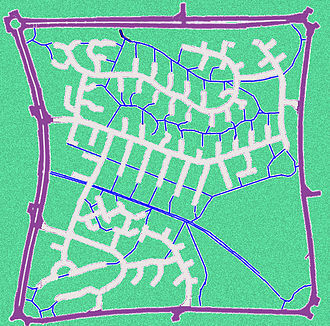 These squares occupy 32 of the 700 numbered town acre allotments on Lights plan, All east-west roads change their names as they cross King William Street, except for North and South terraces. This article details the History of Adelaide from the first human activity in the region to the 20th century. 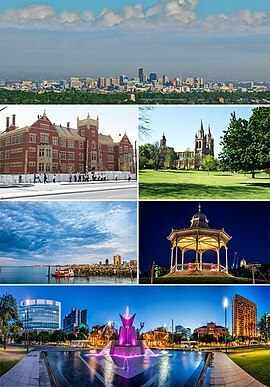 Adelaide is a city founded in 1836 and the capital of South Australia. 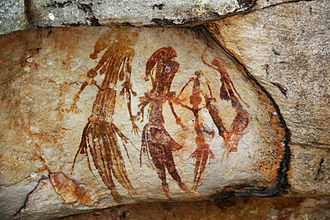 The Kaurna lived in groups called yerta, a word which referred to the area of land which supported the family group. 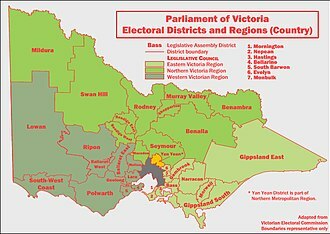 Each yerta was the responsibility of Kaurna adults who inherited the land and had a knowledge of its resources and features. 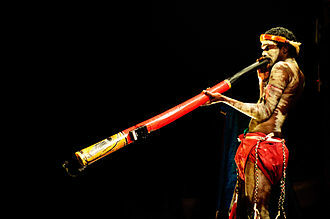 The Kaurna led an existence within the Yerta confines in large family groups of around 30. 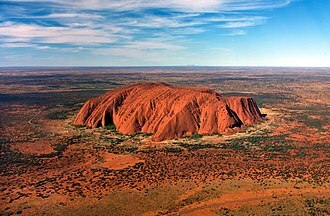 The area where the Adelaide city centre now stands was called Tarndanya, which translates as male red kangaroo rock, Kaurna numbers were greatly reduced by at least two devastating epidemics of smallpox which preceded European settlement, having been transported downstream along the Murray River. 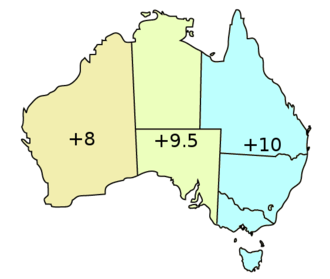 When European settlers arrived in 1836, estimates of the Kaurna population ranged from 300 to 1000 people, British Captain Matthew Flinders and French Captain Nicolas Baudin independently charted the southern coast of the Australian continent. 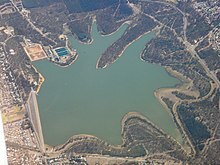 In 1802 Flinders named Mount Lofty, but recorded little of the area which is now Adelaide, in 1830 Charles Sturt explored the Murray River and was impressed with what he briefly saw, Hurried. Captain Collet Barker, sent by New South Wales Governor Ralph Darling, conducted a thorough survey of the area in 1831. 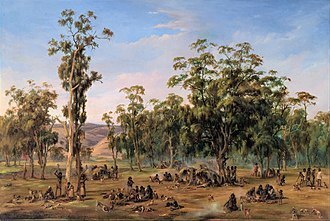 After swimming the mouth of the Murray River, Barker was killed by natives who may have had contact with sealers, all who have ever landed upon the eastern shore of the St. Vincents Gulf agree as to the richness of its soil and the abundance of its pastures. 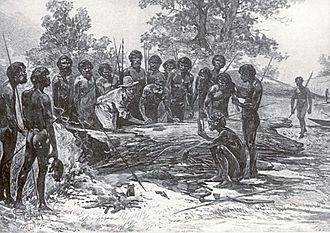 A group in Britain led by Edward Gibbon Wakefield were looking to start a colony based on free settlement rather than convict labour, after problems in other Australian colonies arising from existing settlement methods, the time was right to form a more methodical approach to establishing a colony. In 1829 an imprisoned Wakefield wrote a series of letters about systematic colonisation which were published in a daily newspaper, Wakefield suggested that instead of granting free land to settlers as had happened in other colonies, the land should be sold. St Peters Cathedral is an Anglican cathedral in the South Australian capital of Adelaide. 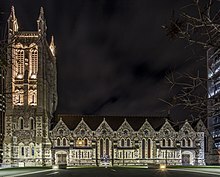 It is the seat of the Archbishop of Adelaide and Metropolitan of the Province of South Australia, the cathedral, a significant Adelaide landmark, is situated on approximately 1 acre of land at the corner of Pennington Terrace and King William Road in the suburb of North Adelaide. 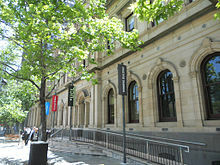 The See of Adelaide was constituted in June 1847, as there was no cathedral, Trinity Church on North Terrace was denoted as the pro tempore cathedral church. Augustus Short, the first Bishop of Adelaide, held the first ordinations there on 29 June 1848, when Adelaide was surveyed by Colonel William Light over a decade before, land in Victoria Square had been set aside for public use. Bishop Short obtained a grant in the square from Governor Robe in March 1848. 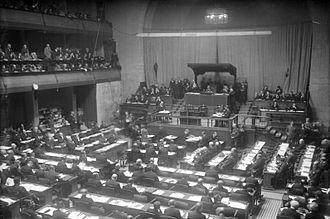 By late 1849 a subscription was bringing in funds for construction of a cathedral on the now cleared site, around this time the legality of the land grant began to be publicly questioned. It was argued that the area was a reserve and the governor had no power to issue such grants. 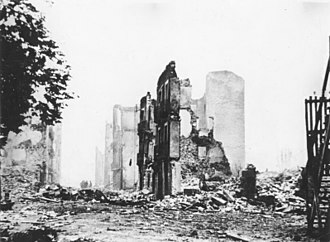 To resolve matters Bishop Short, supported by the Synod, took the matter to the Supreme Court, the judgment in June 1855 confirmed that the grant was invalid and construction could not proceed. Bishop Short purchased just over an acre of land, on Pennington Terrace in North Adelaide and he reported in 1868 that the funds gathered were sufficient and announced to the dioceses synod of his decision to begin construction of a cathedral. Bishop Short had William Butterfield design the cathedral, but the communication gap between England and Adelaide contributed to delays and disagreement. Butterfields plans were purchased and given to Edward John Woods, of Adelaide architectural firm Wright and Hamilton, Woods changed some of the plans materials and design, while keeping the general details as Butterfield had proposed. 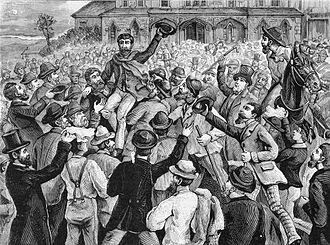 Woods was noted by his colleague Walter Bagot as strongly influenced by French architect Eugène Viollet-le-Duc, Bishop Short laid the foundation stone, a 13 long hundredweight block from Glen Ewin Quarry, on St Peters Day 1869 in front of over a thousand people. 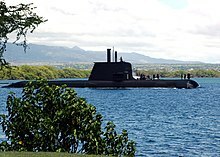 For other similarly named people, see William Light Colonel William Light was a British military officer and the first Surveyor-General of the Colony of South Australia. 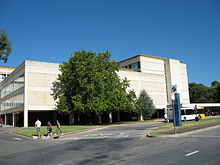 He is famous for choosing the site of the capital and for designing the layout of its streets and parks – in the Adelaide city centre. Light was born in Kuala Kedah, Kedah and he lived in Penang until the age of six, when he was sent to England to be educated. Light was the second son of Captain Francis Light, the Superintendent of Penang, and Martina Rozells, who was of Portuguese or French. 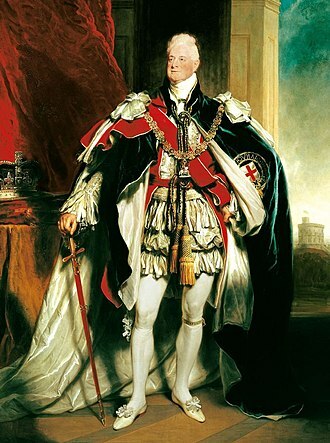 At the age of 13, Light volunteered for the Royal Navy and he travelled through Europe and India before joining the 4th Dragoons regiment of the British Army in 1808. Light married E. Perois in Ireland in 1821, in 1823 he returned to Spain to fight the French invasion as a lieutenant colonel in the Spanish Army. 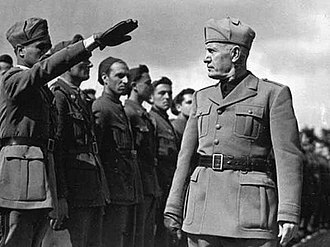 He was badly wounded and spent the six years travelling Europe. Between 1830 and 1835 he helped Mohammad Ali, founder of modern Egypt, here Light met John Hindmarsh, who at that time served under him and succeeded him as captain of the Nile. 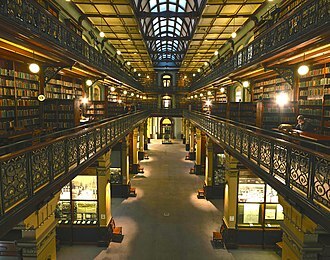 Light was initially considered for the position of Governor of South Australia – this was, instead, in 1835, Light was appointed Surveyor-General of the new colony. 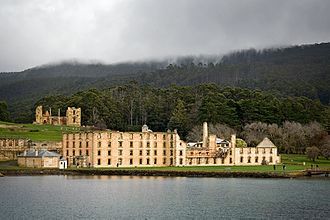 He sailed for South Australia with his mistress Maria Gandy, there Light selected the location and laid out the street plan of the city of Adelaide. 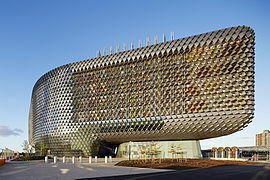 The Adelaide city centre was planned by Light in a grid fashion, one of the reasons he chose the location was because clouds drifting over the nearby Adelaide Hills would provide rainfall. 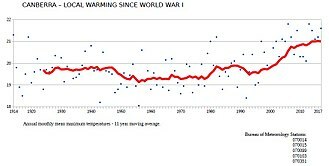 This was an indicator of good conditions for agriculture. 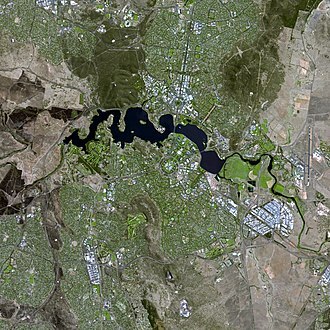 When Light was designing Adelaide, his plans included surrounding the city with 1,700 acres of parklands and this would provide clean fresh air throughout Adelaide. European cities often had polluted stale air and Light wanted to avoid this occurring in Adelaide and it is sometimes claimed that Light designed the city of Christchurch in New Zealand. However, this is not possible, Light died in Adelaide in 1839, Lights role in founding and designing the South Australian capital is remembered as Lights Vision, and commemorated with a statue on Montefiore Hill, of Light pointing to the City of Adelaide below. 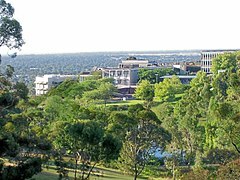 The Adelaide Park Lands are the parks that surround the centre of the South Australian capital city of Adelaide. 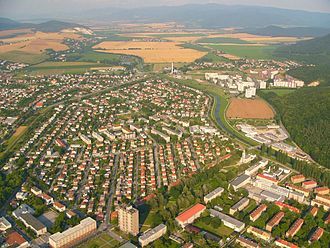 They measure approximately 7.6 km² in a green belt encircling the city centre, the parklands were laid out by Colonel William Light in his design for the city. Originally, Light reserved 9.31 km² for parklands, the parklands are managed by the Adelaide City Council and, since February 2007, the Adelaide Park Lands Authority. Adelaide is a city, and the Adelaide Park Lands are an integral part of Colonel William Lights 1837 plan. 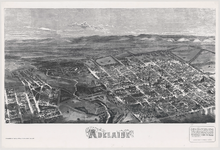 Influenced by William Penns design of Philadelphia, Light set out the city of Adelaide on a grid of one mile, interspaced by wide boulevards. Light, recognising the importance of parks, surrounded the entire city with the Adelaide Park Lands, a green-belt. 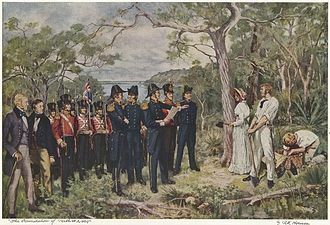 By 1839 the parklands were threatened by extensive timber cutting, rubbish dumping, squatting, to check this, a body of special constables was instituted on 9 October 1839 by George Gawler and Superintendent Henry Inman. Inman appointed Nick Boys Bull, formerly a police sub-inspector, as Keeper of the Parklands, Bull led an initial team of six park rangers, most being convalescent migrants thrown on government support. This dropped to two by 1840, back to four by June 1841, pay and rations were provided by the police department. Since 1852, the parklands have been managed and maintained by the Adelaide City Council, public use of the parklands was controlled by a ranger who patrolled the parks, regulating sporting and recreational activities in the parks and supervising the depasturing of stock grazing there. The parklands saw very little development during the 19th century, extensive felling of trees and dumping of rubbish continued, which combined to give the parklands an unsightly appearance. In the late 19th century J. E. Brown, the governments Conservator of Forests, was commissioned by the City Council to prepare a blueprint for the beautification of the parklands. Brown presented his report in 1880, but it was not acted upon until the turn of the 20th century when A. W, some of the parklands are the location of public and cultural buildings. Aerial view of part of the Adelaide city centre at night, 2014. View SE across the Piccadilly Valley from the Mount Lofty Scenic Route. The summit of Mount Barker, 22 km away, is visible on the horizon. View of the River Torrens and Elder Park with the Adelaide city centre skyline in the background. Aerial view of Victoria Square. Ceremony to mark the unveiling of the statue of Queen Victoria in Victoria Square on 11 August 1894. The Torrens's sea outlet, "Breakout creek channel"
North Terrace intersection with Pulteney Street, looking south-west from Bonython Hall. North Terrace, looking south-west from the Museum. King William Street, looking north from Victoria Square, February 2009. King William Road, North Adelaide, from the Adelaide Oval, looking south over the River Torrens towards North Terrace, King William Street and the Adelaide city centre, May 2009. King William Street in 1973. 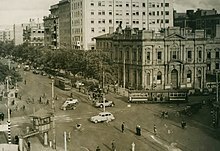 The elaborate Commonwealth Bank building on the right has since been demolished, as have the two buildings next to it. Melbourne ranked as the world's most liveable city for seven years in a row, from 2011 until 2017. Wind turbines northwest of Burra. William Light by George Jones, National Portrait Gallery, London.